Don't have a camper and don't want to tent it? No problem! 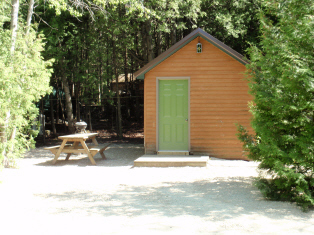 Stay in one of our rustic cabins! Cabin Check in is 3 pm and check out is 11 am. 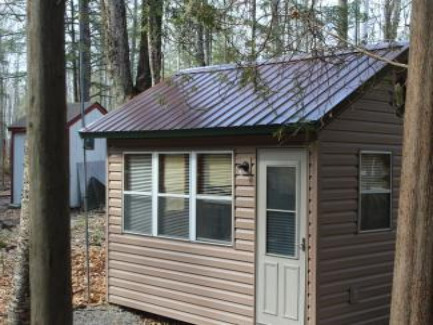 A one night security deposit is charged at the time of reservation and is returned within 48 hours of check out, after the cabin is cleaned and free of damages. all cabins are non-smoking. 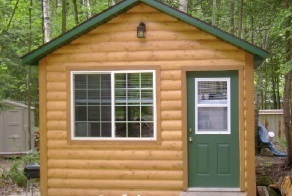 Due to allergies, pets are allowed only in cabins #17, #168, and #227. 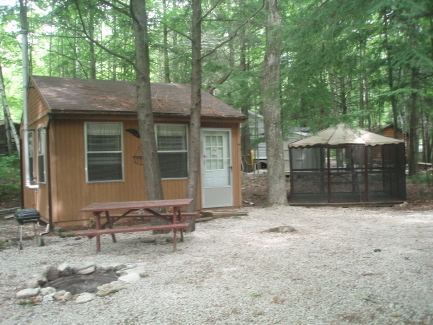 All cabins have water on the site and electricity inside. all cabins have heaters available. reception on the televisions is limited, complimentary movie rentals are available in the office. please bring everything you need for camping including bedding (we recommend non-fitted sheets or sleeping bags), pillows, dishes, etc. prices are for 2 adults and children under 17. Each additional adult is $5 per night. 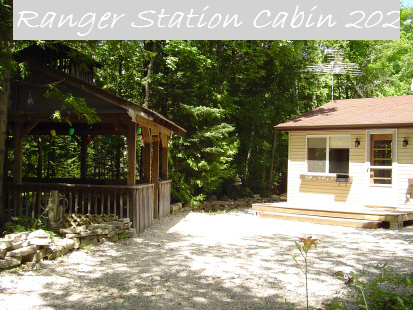 with the exception of cabin #202, no more than 6 people are allowed in a cabin. door county room tax is 5.5% and sales tax is 5.5%, this is applied to the nightly rate at check-in. NEW for 2018!! 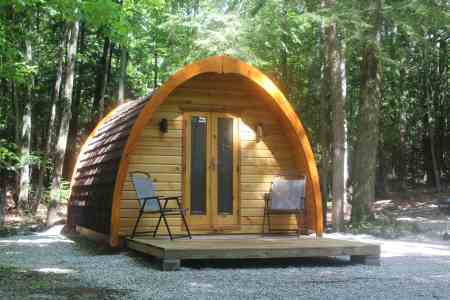 our new glamping cabin! Dorm size fridge, microwave, DVD player, dining table, and cupboards. Sitting deck, outdoor screen room, and covered fire-pit pavilion.